The ATA is happy to present Speed Date a Sustainability Expert in partnership with the Greater Shepparton City Council. Join us for a fun day where you will receive free personalised advice from leading sustainable designers and eco experts. Advanced Environmental Systems Managing Director Peter Clinnick is an accredited commercial and industrial energy auditor with over 30 years’ experience in household, commercial and industrial resource use and assessment. AES adopts a two pronged approach to reducing resource use; firstly by reducing overall demand and secondly by identifying wasted resources. 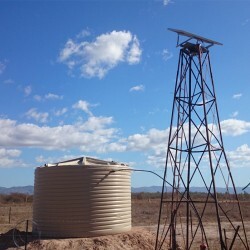 In his own home Peter has installed solar air conditioning, 5 kW of solar PV, solar hot water and a 40 kL rain water storage – no bills. He can help with advice on a range of topics including: energy saving options for residential, commercial and industrial premises; building fabric selection and improvement; solar pumps for irrigation; lighting options; off-grid opportunities and costs; solar air conditioning for homes and businesses; solar and other hot water options. Commodore Australia is dedicated to alternative energy, with quality products ranging from solar power, heating, through to generators, batteries and wind turbines as well as quality farm electrics. We can offer specialist expertise in domestic, agricultural, industry and off-grid power. Managing Director Boyd Dainton has lived in the Shepparton area all his life, with local family history going back to 1860s. He has 40 years’ experience in the electronics industry, and has built his own off-grid sustainable house. He can advise on a wide range of topics including off-grid solar, wind power, battery storage, and solar pumps. David did his first energy efficiency and food self-reliance retrofit of a suburban house and garden in 1993. 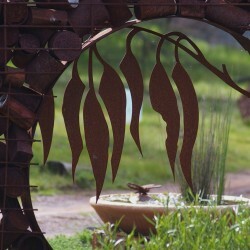 He has lived and worked in the Goulburn Valley district since 1995, working with permaculture projects ranging from energy efficiency building retrofit, productive home garden design and self-reliance, owner building, homestead development, tree crop agriculture, and farm scale landscaping with multi-purpose shelter belts and alley plantings. 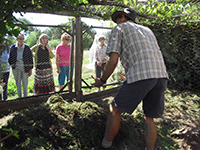 David teaches permaculture design, and specialist skills such as natural beekeeping and forestry, from his farm Murrnong at Violet Town. Louise Pelle (was Costa) is a landscape architect specialising in the creation of unique gardens and playgrounds. Her business, Design By Nature has been operating in the Goulburn Valley since 1997. Louise’s passion for creating gardens that honour the natural environment is reflected in her work which is based on a number of environmental objectives. 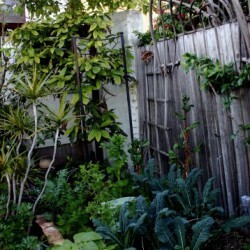 These include building gardens that attract and provide habitat for native animal and bird species, creating gardens with the use of recycled materials, using plant species that are indigenous to the area and subsequently suited to the climate and soil-types and wherever possible, using locally sourced materials for landscaping. Louise is a sensitive designer with a keen eye for observing the processes of nature and incorporating them into her specialised style of garden design; fashioning landscapes that contribute to the natural environment whilst appealing to the most predominant species, humans! Energy Smart Design was started in 2001 by Henning Rasmussen and specialises in performing energy ratings and other energy efficiency assessments for a range of clients from high end architectural residential dwellings and volume builders down to more modest and low cost dwellings for various organisations and individuals alike. Henning’s involvement within a number of professional forums such as the Victorian Building Authority (VBA), Sustainability Victoria (SV), Building Designers Association (BDAV) and NatHERS are a testament to our depth of knowledge. Energy Smart Design has a high level of expertise in Energy Efficiency, and Energy Smart Design has trained over 600 energy raters at RMIT Carlton as well as trained in the BCA Elemental Methods. 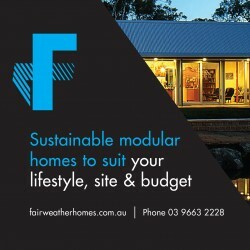 Fairweather Homes designs & delivers sustainable modular homes to suit your lifestyle site and budget. This award winning company has over 30 years’ experience delivering innovative building solutions throughout urban & regional Australia as well as overseas. Director & Architect Paul Adams has a breadth of experience in sustainable, affordable modular housing. Paul maintains a role at CERES as member of the Planning and Infrastructure Committee. Other areas of expertise and as director of multi-disciplinary architecture practice MODUS Architects with a focus on design solutions and methods that make a positive impact on people, place & environment as well as corporate memberships of organisations such as the ATA, PrefabAUS and the FSC. 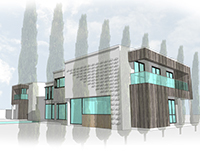 James Seymour Architecture is a small architectural practice based in Shepparton. James has experience working on a broad range of project types in regional Victoria. We believe that considered design solutions can maximise the opportunities present in all projects and provide real benefits to the users. We are particularly interested in the positive outcomes that can be achieved by considering key design elements such as Place (the site and the contribution it can make to the design solution); the positive outcomes from incorporating passive design principles; considered material selections; and Liveable Design Guidelines. We believe an investment in good design advice early in the life of the project will provide a significant return in the sustainable outcomes. Director of Sustainable Building Design consultancy, David Halford is a Certified Passive House Designer and a registered building designer. With several decades of designing energy efficient buildings and three designs already approved by the Passive House Institute, he has experience in most of the elements that are required to achieve a successful design that embodies high comfort and low energy use. His long experience in the industry and also in building his self-sufficient house with his own hands helps him understand what is critical/valuable both in the design and construction of buildings.